Liczba stron: 199 Jest to ujednolicona liczba stron, która ułatwi Ci porównanie długości książek. Każda strona Legimi to 200 słów. 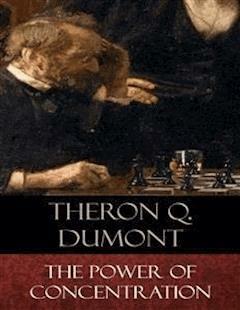 The Power of Concentration by Theron Q. Dumont.We all know that in order to accomplish a certain thing we must concentrate. It is of the utmost value to learn how to concentrate. To make a success of anything you must be able to concentrate your entire thought upon the idea you are working out.Do not become discouraged, if you are unable to hold your thought on the subject very long at first. There are very few that can. It seems a peculiar fact that it is easier to concentrate on something that is not good for us, than on something that is beneficial. This tendency is overcome when we learn to concentrate consciously.If you will just practice a few concentration exercises each day you will find you will soon develop this wonderful power.Success is assured when you are able to concentrate for you are then able to utilize for your good all constructive thoughts and shut out all the destructive ones. It is of the greatest value to be able to think only that which will be beneficial.